KX-NSX has UC Pro support, video communication functions, a built-in call center function (external CTI servers not required), partner application linking, and more. These functions make business communication more efficient and enable users to utilize limited resources effectively. By being notified of their position in a queue through voice guidance, callers can better decide whether to wait, leave a message, or hang up. This provides a favourable impression for your business and improves the satisfaction of the customers for the service they are receiving. 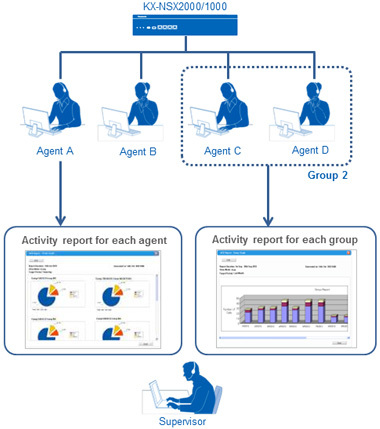 The supervisor can monitor the live status of call centres to understand onsite problems and improve them. Call history can also be output as a report to understand problems or opportunities relating to customer service. Report data can be saved to an external server. The KX-NSX can be used to automatically record conversations with customers, which can be listened to by supervisors, saved to an external server, and used to understand problems or opportunities relating to customer service. 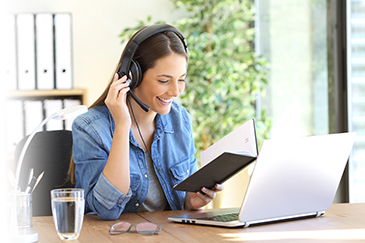 UC Pro supports multiple devices such as PCs and mobile phones and provides collaborative functions, including presence management, audio/text/video chat, and synchronization with Outlook Calendar. Mobile clients can communicate with an account that is also registered to their PC, so they can take care of business while out of the office. Click here for more info. The combination of the video IP phone KX-HDV430 and communication IP camera KX-NTV150 or IP video doorphone KX-NTV160 enable easy video communication. CTI (Computer Telephony Integration) is an essential element of UC (Unified Communications). It effectively connects telecommunication and information technology. CTI allows the user to operate your phone by remote control, and to set up, make, and receive calls without any need for programming. In other words, it allows the user to directly make and receive phone calls from a PC, smartphone, or tablet with easy, intuitive operation. Internal communication is dramatically accelerated by presence features that enable users to freely define their own presence status, track the availability of team members, and select the most effective contact method for each situation. This saves time and prevents interruptions. In addition, UC Pro / UC Pro 2 can be synchronized with Outlook Calendar to automatically update the user's presence in line with the calendar schedule. Call forwarding is also possible under certain conditions. 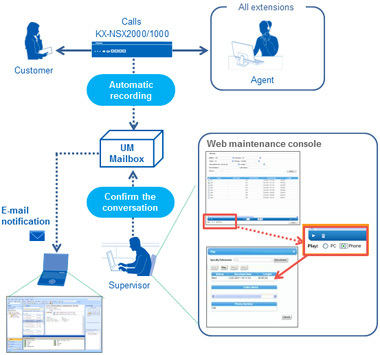 UC Pro / UC Pro 2 can also integrate text messages into in-company communication and work processes by sending them via a PC, directly from Outlook or a mobile client. This helps to ensure that messages are quickly read and replies are sent in real time. Messages can also be sent to multiple people to further strengthen communication. You can communicate with Video chat while confirming the other person's feelings and expressions, or while viewing objects. This can also let you cut down on the need for business trips. 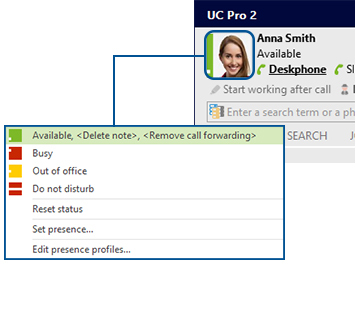 UC Pro 2 client application enables you to use your PC or smartphones as SIP softphone which leads office mobility. It works as a PBX extension, so you can directly communicate with other PBX terminals as extension calls. 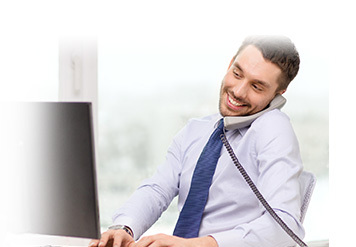 External call via PBX or paring UC client applications with PBX proprietary terminals are also possible. *Available on UC Pro 2 only. 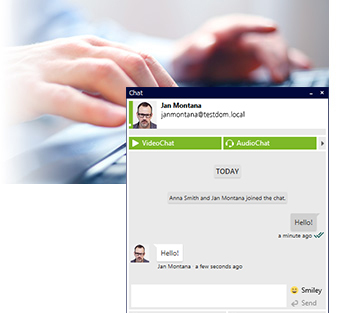 The presence of UC Client users can be confirmed on the browser without installing UC Client for accurate communication and even users without UC Client can communicate on text chat with UC Client users.